Directions: Heading north from Kingston on RT107, take a left onto Riverside Dr.
Bear left onto Kadra st. The house will be the first one on the left. 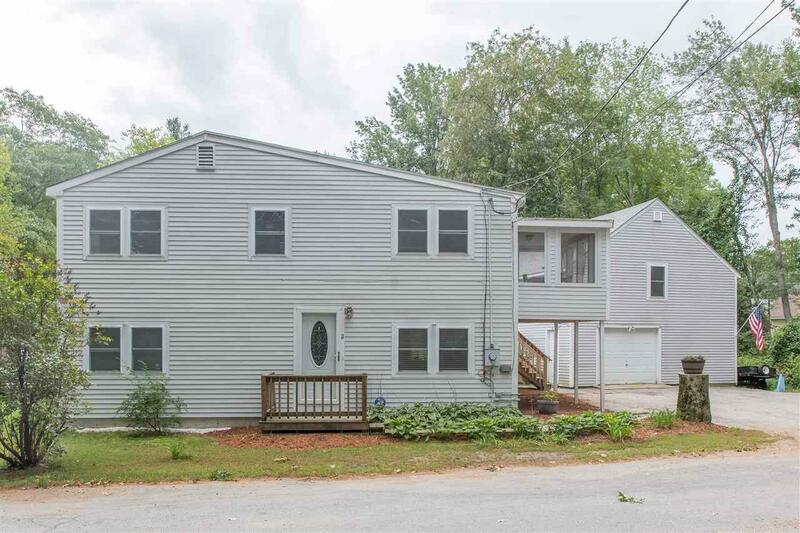 Kayak/canoe in the Exeter River w/ deeded water access right across the street from this well maintained 4 bed 2 bath home perfect for multi-generational living w/ lower level walk out. 2nd level w/ white, bright Kitchen; pantry, gas stove, dining room, laundry room, fun 3 season porch, 2 bedrooms & full bath. Spacious lower level living room features a pellet stove & french doors to beautiful, private back yard oasis w/ 24' round above ground pool/deck, perennials, lots of birds. 1st level master bedroom, guest bedroom & 3/4 bath. Over-sized garage w/ 23 x 22 unfinished bonus area above, bring your ideas for finishing. Features/Updates: whole house generator included, updated garage roof/electrical, Rinnai tankless hot water, Dailkin mini splits w/ heating/cooling, ADT home security system, newer carpets/flooring, new interior & exterior paint. Easy access to RT107, RT125, and RT101. Close to the Mass border. Brentwood(SAU16) district. Highest and best offers due Monday 9/17@ 4PM. Neighborhood exclusive Beach .20 miles down the road for the neighborhood residents only. Mini Splits - A/C and Heat. Garage roof & 100amp electric added in garage 2017. Mold mitigation in attic 2017. Removal from flood zone. See 3D Model / Aerial Drone Tours.